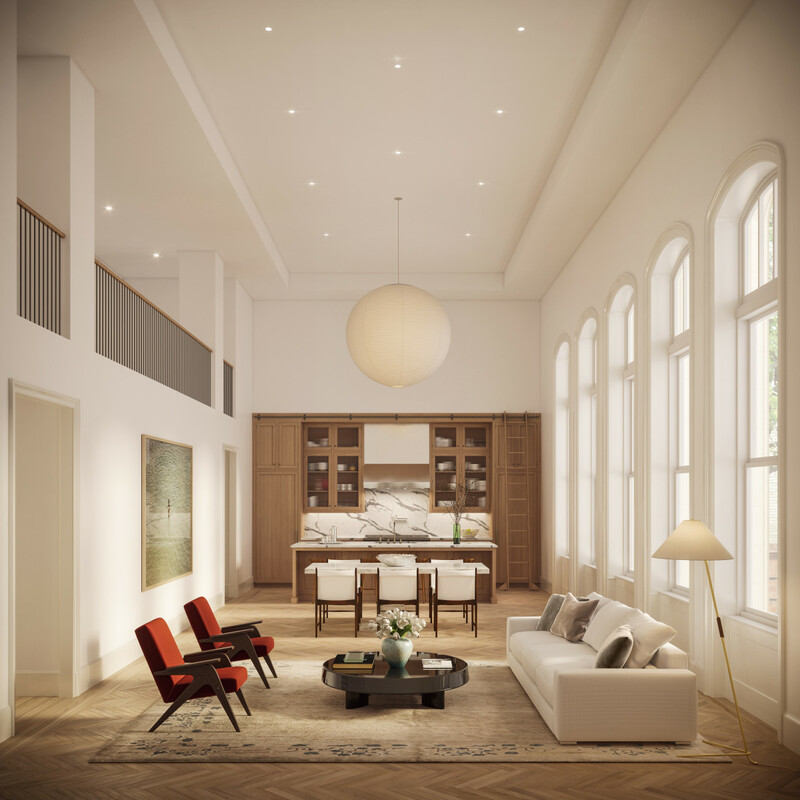 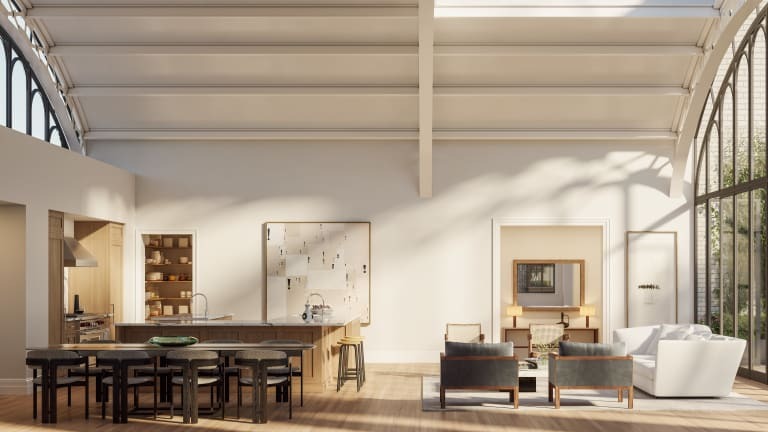 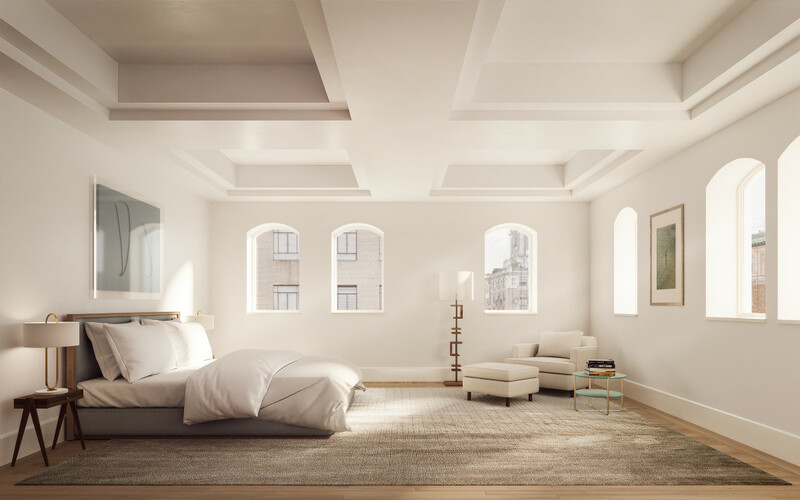 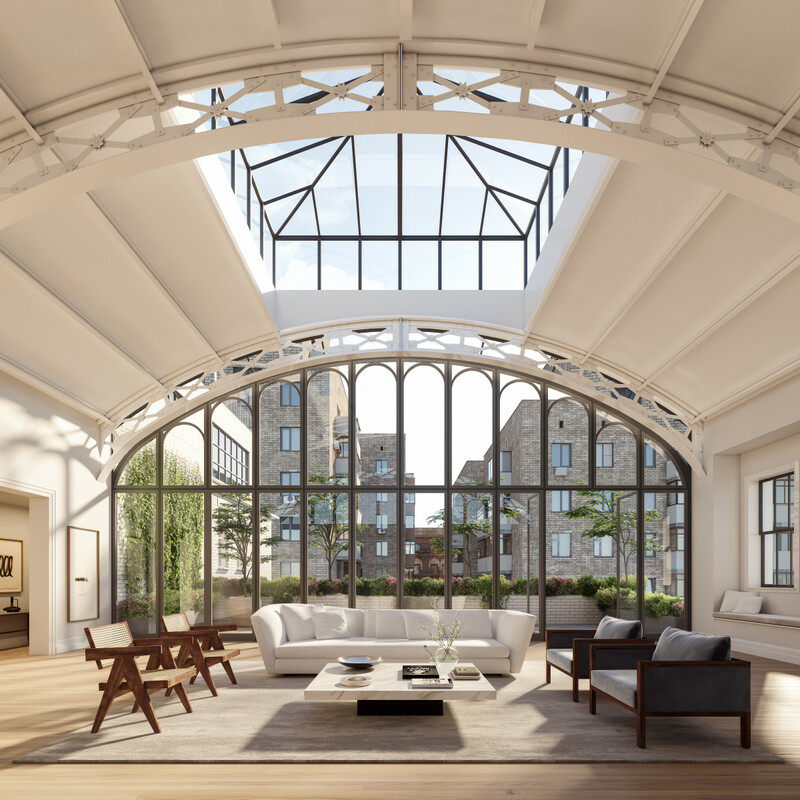 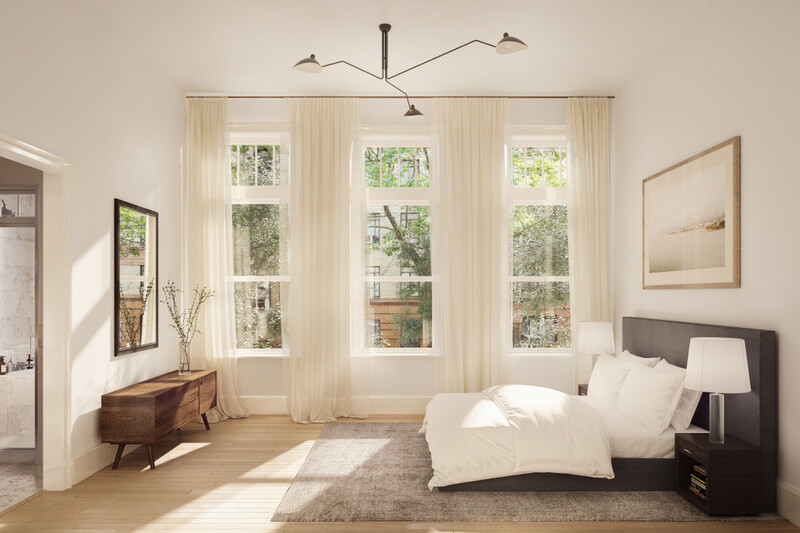 Listings are now live for 555 West End Avenue, a former Catholic school transformed into one of the drool-worthiest luxury condos in all of New York City. 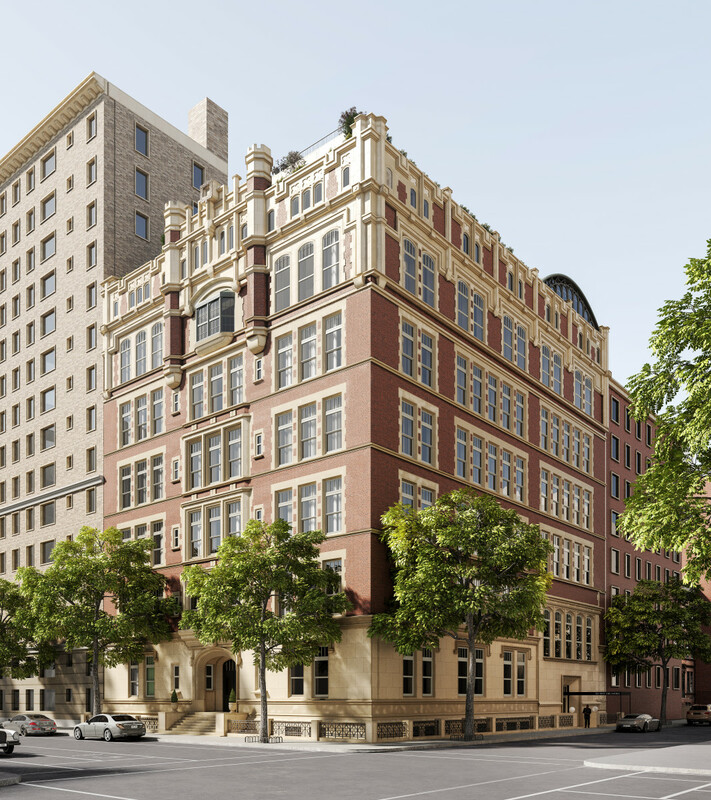 English collegiate and Gothic-style elements fill the spaces while different high school staples now give unique character to the 13 different units. 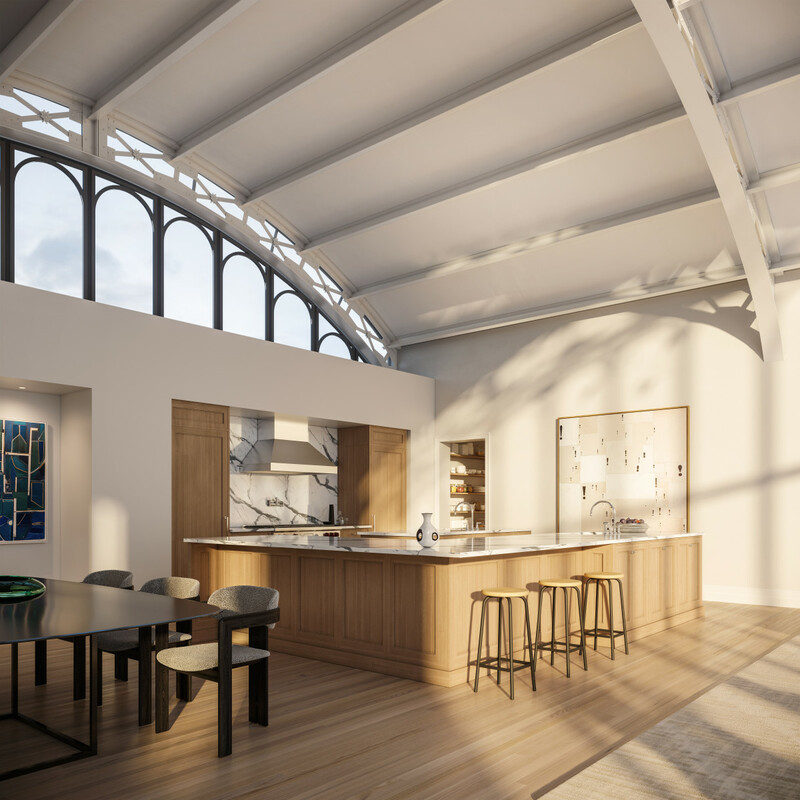 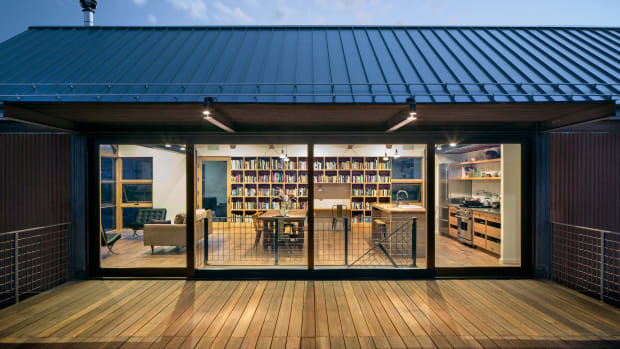 The penthouse, for example, is carved out of the school’s one-time gymnasium and features a floor-to-ceiling arched window wall, while the library is now a five-bedroom palace complete with a double-height living room and catwalk.